The new Octavia Scout will be unveiled by Skoda next month, with the occasion of the 2014 Geneva Motor Show. The Czech automaker has first announced the debut of the Octavia Coupe Concept, and now unofficial reports state that the Swiss automotive event will be receiving the so called Scout model. The fresh-new Skoda Octavia Scout will feature an SUV-styling and an aggressive design, sporting larger front and rear bumpers, wider air intake, new fog lights, extended wheel, or protective side mouldings. The ride height has also been modified by 33 mm with 17-inch alloy wheels. The model will also feature all-wheel drive function and the fifth generation Haldex. 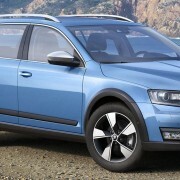 The Skoda Octavia Scout will be offered with two diesel models and one petrol version. As for the power and engines of the car, there are still no words. 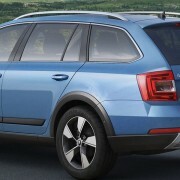 But what is certain though, is that the Skoda Octavia Scout will be coming available on sales, starting this year. We will keep you posted on the Scout along with the 2014 Geneva Motor Show.